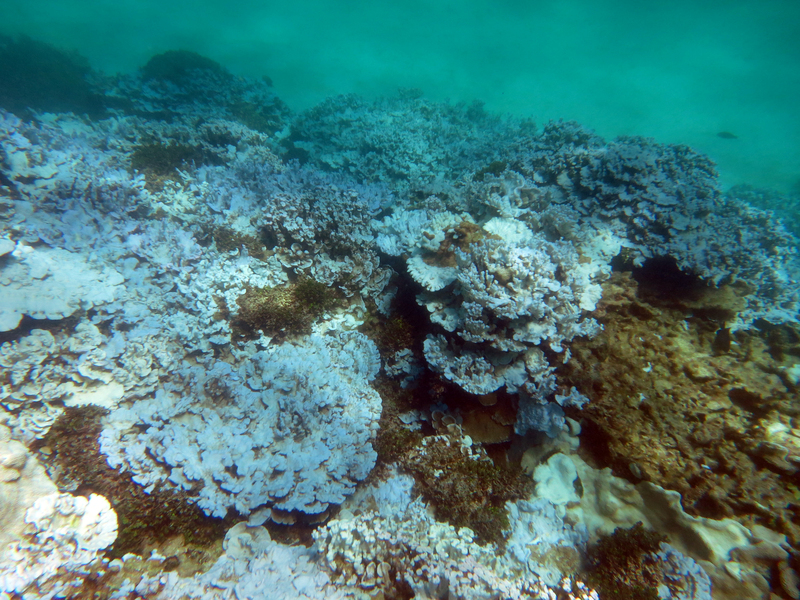 In the 2010s, loss of reef life to coral bleaching is a dismal reality. DOING SOMETHING IS THE BEST REMEDY for marine biologists dealing with the continual cascade of depressing news about the fate of coral reefs, according to a recent article in The Atlantic magazine. DOING SOMETHING! The article’s subtitle notes that “The drumbeat of devastating news can take its toll on the mental health of people who have devoted their lives to coral,” but Yong found researchers who cope by trying to do something. For example, Ruth Gates of the Hawaii Institute of Marine Biology is working on developing “super-corals” that are better able to withstand warming ocean temperatures. OPTIMISM! Another scientist Nancy Knowlton of the Smithsonian Institution, founded a movement called Ocean Optimism to emphasize that in the face of all the gloom, it’s easy to forget that there are things being done that are making a difference – like successful efforts to bring fish populations back in marine reserves or to protect mangrove forests.